Jason Day became the best putter in the world in 2016, so it’s no coincidence that he finished that year as world No. 1. He was slightly off on the greens in 2017 but was resurgent last season, winning twice and again dominating on the dance floor. Yep, the cheery Aussie has renewed his focus on the flatstick and has made himself invincible—from short range in particular—once again. Plenty of players have taken notice, though it’s usually Day who’s dishing the compliments. 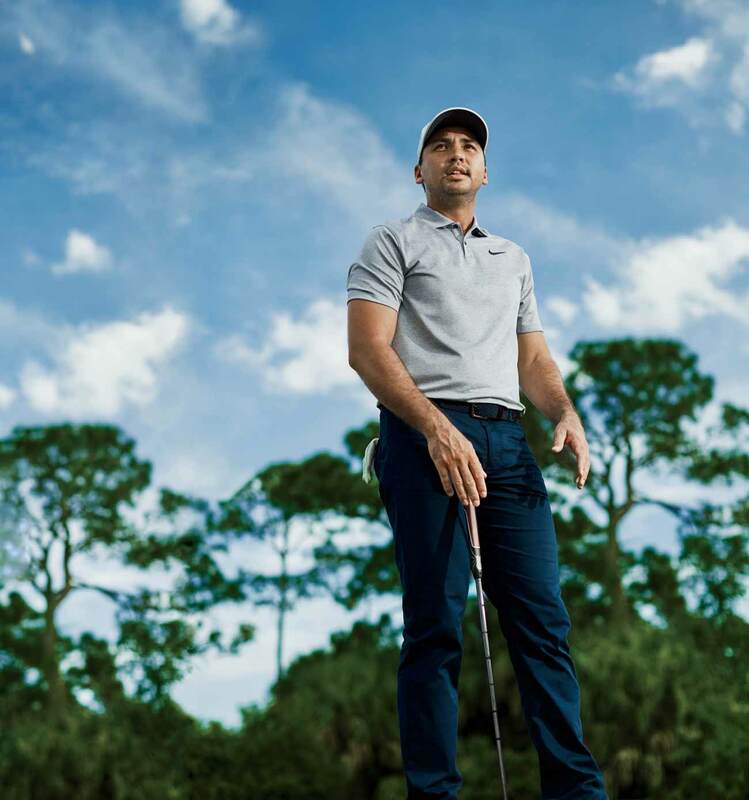 On set for the photos seen splashed across GOLF’s magazine pages, it was Jason propping up Dustin Johnson’s clubhead speed. He was effusive about Jon Rahm’s tight irons, and blown away by Tiger’s imagination with his wedges. But when the shoot shifted to the green, the hyperbole shifted to Day. “I mean, I think he was No. 1 in pretty much all categories,” Dustin Johnson said. 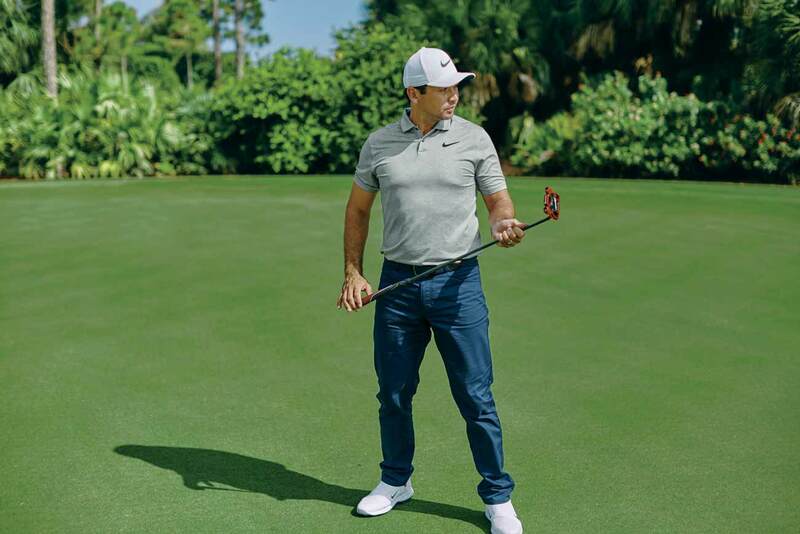 “Who can claim that?”DJ’s right: In 2018, Day led the PGA Tour in strokes gained putting, and he was nearly perfect from short range: Day made over 90 percent of putts from inside 10 feet (2nd on Tour), and 78.4 percent of his putts from 4 to 8 feet (1st). There’s no discounting the work that Day, 31, puts into his putting game. He estimates that at least two and a half hours each day are dedicated to putting. For those golfers less able to put in that time (that’s you, pal), Day has some hacks to focus on. “When you’re standing over the ball at address, it’s hugely important to find a comfortable eyeline. This is true for full-swing shots and absolutely critical on the greens. Over the years I’ve worked with several vision experts to make sure what I’m seeing is correct and distortion-free. A lot of them talk about ‘parallax error.’ Sounds bad, right? It is, especially when your job is to sink putts for a living. What it means basically is that you see different lines based on the perspective you establish as you set up to the ball. I’ve studied it myself: If you stand too far away from the ball, you’re going to see one line, and if you stand too far over it you’ll see a different line. You need to find the correct distance from the ball that syncs what your eyes are telling you with the actual ball-to-target line on the ground. “Once your eyes are set, it’s important to get your body in a stable position from which you’ll be able to make a steady stroke. Just like a full swing or a bunker shot, to get the ball from where you are to where you want it to go consistently, you need good fundamentals, from your feet to your knees to your hips and shoulders. I stand up slightly at address and keep a natural ‘Y’ shape to my elbows, with a nice gentle bend. Then I check that the line from the hosel all the way up the shaft and the ones created by my forearms are very similar and very straight and all on the same plane. “I stress speed all the time, more so than line. Say, for instance, you don’t have the correct line but you have the correct speed. As professionals, we will never miss left or right more than two, three feet at the absolute most. So if you’re hole-high then you’re still not far away—that’s an easy two-putt. But when your speed is off and you’re rolling it four feet past or two feet short—and you’re also wide left or right by two feet—now you have problems. That’s hardly what we call a ‘gimme.’ Plus, when your speed is off, your subconscious mind starts playing games with you: ‘Hey, man, did you hit that off the toe? Did you decelerate? Was your backstroke too short?’ That’s a lonely place to be. Eventually, you’ll start unnecessarily tinkering with your stroke. “I mean it: It’s better to miss left or right than too long or too short. If you keep the focus on speed, you’ll start to develop a consistent roll. And with consistency, you’ll draw better lines to the target. Your focus will skyrocket, and so will your confidence. 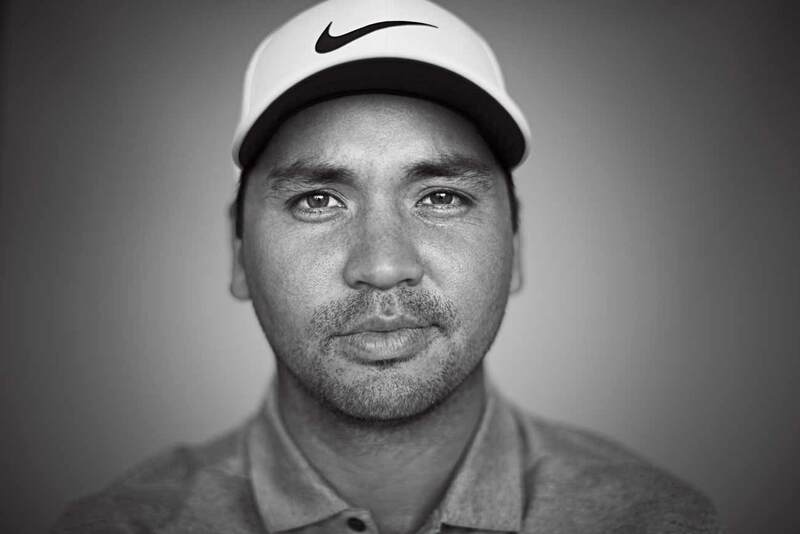 “When you watch Jason Day putt, you see something different. He and Dave Stockton, the two best putters I’ve ever seen, both get the ball into what we call ‘pure roll’ incredibly fast. Good putters achieve pure roll within 10 to 25 percent of the total putt length after contact. For example, on a 12-foot putt, the best in the world achieve pure, skid-free roll within three feet of the point contact is made. Obviously, you want that number as low as possible. Jason’s ball gets into pure roll more like 7 to 8 percent after it’s struck. He’s at the very top of the putting pyramid. We like to think that TaylorMade technology has a hand in that. Our pure roll inserts, where we put a groove in the insert that’s at a 45-degree angle down, can provide anywhere from 25 to 50 rpm more topspin, period. And as a player, that allows you to be more efficient and to keep your putts on line.